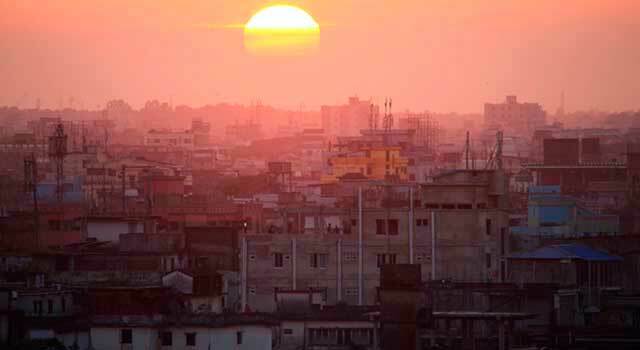 Use this website to quickly find the most important information about Dhaka Shahjalal Airport: Flights (Departures, Arrivals), Parking, Car Rentals, Hotels near the airport and other information about Dhaka Airport, Bangladesh. 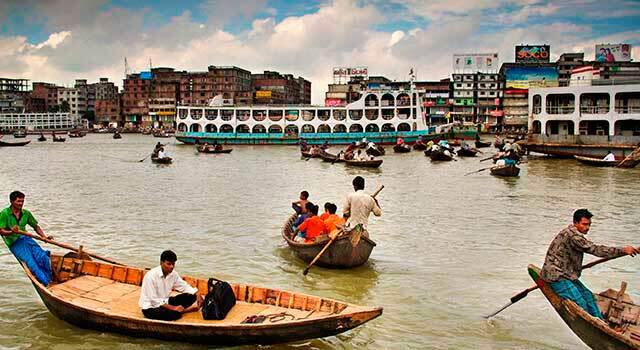 Plan your travel to Dhaka Airport with the information provided in this site. Dhaka Airport (IATA: DAC, ICAO: VGHS), officially known as Hazrat Shahjalal International Airport, or simply Shahjalal, is the main international airport serving Bangladesh. The airport is located in Kurmitola, 17 kilometres north in Dhaka city, the expansion of the last years has integrated the airport facility. Dhaka Airport (IATA: DAC) is the busiest airport in Bangladesh. 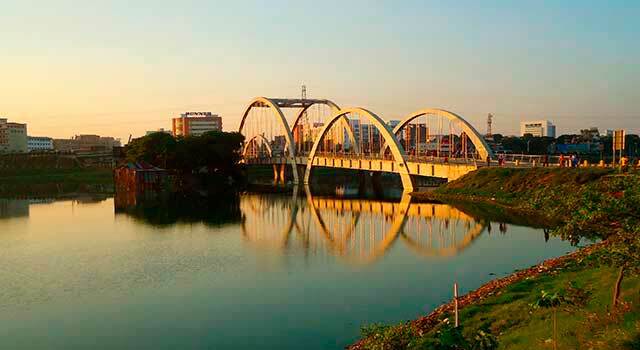 The airport is located 17 kilometres north of Dhaka City Center. Dhaka Airport served 11,4 Million passengers in 2018. There are three terminals in Shahjalal International Airport. The terminals T1 and T2 serves all international flights. DAC airport occupies more than 1,970 acres (800 acres) approximately. In 2018 Dhaka Airport handled 11,462,580 million of passenger movements. With the construction of the second runway it is estimated that the airport will be able to handle more passengers and will operate more effectively. Another VIP Terminal is located next to the main gate, it is only used for special occasions. Handle international flights. On the ground floor there are arrivals and on the upper floor there are the departures. At the building there is a custom office, prayer rooms, security section, taxi booths and bank/hotels booths among other services as elevators or stairs. It handles domestic flights. The building has only one floor where manages arrivals and departures. Through all the airport terminal buildings there are various emergency gates. - Duty Free (purchases must be finalized 20 minutes before the flight departs). 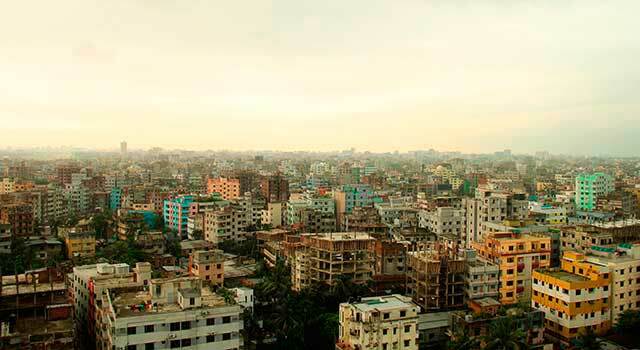 - Lounges: Ruposhi Bangla Hotel Balaka Executive Lounge and SkyLounge. Check here the different vehicles that do you have available to rent at Dhaka Airport. 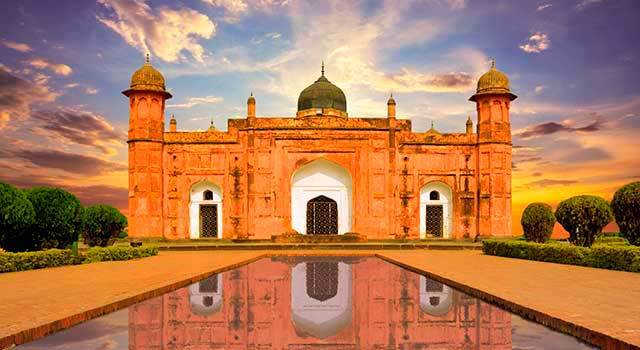 - Hotel Shuttle bus: Various hotels offer shuttle bus service from the arrivals level at Dhaka airport. More info at Transportation online page. - Biman airline, the national carrier, operate with almost 40 different international destinations.